The federal government could reopen before the new year as senators are set to meet on the floor after Christmas. The Senate is set to come back into session on Dec. 27 for what are expected to be pro forma sessions with no legislative business unless there is a deal to reopen the government. However, there have been no agreements on a bill or funding measures surrounding the border wall, which Republicans have been pushing for. 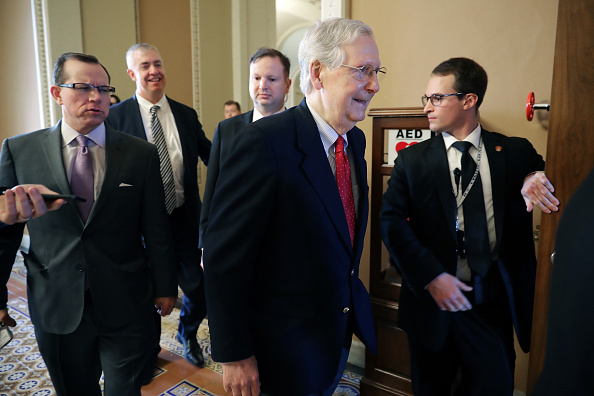 This comes after Senate Republicans failed to receive enough votes to pass a short-term spending bill Friday after voting to proceed with the government funding bill 48-47. Many senators were not present for the floor vote, and Vice President Mike Pence arrived for a tie-breaking vote. Alabama Sen. Doug Jones was the only Democrat who voted for the bill. He agreed because of a deal reportedly put together by Tennessee Republican Sen. Bob Corker, which says senators will not vote on anything else until they figure out the spending bill. Republicans need to “abandon” border wall funding if they want the government to reopen, Senate Minority Leader Chuck Schumer said Saturday just less than 24 hours into the partial shutdown.